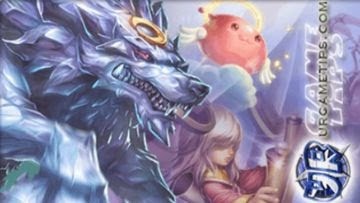 Here's some tips and guide on how to upgrade your character and pets in the RPG mobile game Ragnarok Rush. Upgrading is the most important factor in this game in order to advance and complete new stages, and beat opponents that stands in your way. - Since this is your main character for the whole game, just max everything that you can as you go. - Focus most of your resources to your main character because there are certain modes like the Prontera Defense and Arena Team Battles where you won't be using your pets. - Focus and keep on promoting your main character, to increase stats and to unlock job advancements. - Most upgrading materials can be obtained from stages, story quests, event rewards, and more. - Advance the Story mode to unlock new materials, it doesn't matter if you can't complete them with 5 Stars, just defeat the last boss to farm new materials in the next stages! - To quickly farm them, go to your character's Promotion window and click on the required materials to view all available stages where you can farm them using the "Rush" option. - Just save them in your inventory and only use them once you reach higher levels to upgrade your Main character then core pets. Once you are able to Promote, start earning again. - Other than events, quest rewards, and other game modes, check the Guild Shop too for Rank-Up shard boxes, buy them all every time they refresh. - 1st Job Advancement is available during the tutorial early game. - 2nd Job Advancement will become available once you reach Purple+2 and complete the required Advancement quests. - 3rd Job Advancement requires Red+3 Promotion; Complete Deep Inside the Dark Forest (Lvl 66 Requirement); Character 4 Stars; and Own 20 Pets. - 4th Job Advancement is available at Lvl 100, and once you gather all required materials, which is a lot! - Complete stages to get EXP points. 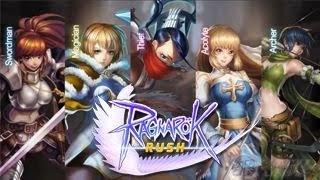 - Using "Rush" on stages will also work but your Pets will not get any EXP. In return, you'll get "Blue EXP bottles" instead. - Get "Orange EXP bottles" from daily quests, Eden Group Missions, and Faction Wars. You can reset Eden Group Missions by using 500 Diamonds, but it is best to only use this at higher levels (Lvl 15 at least or higher). 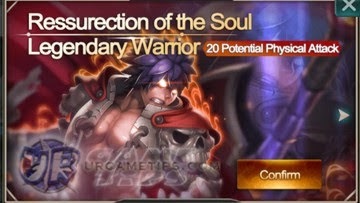 - Focus and upgrade your main character to at least 5~6 stars asap, to increase stats growth rates (including Potential Lvl) and effectiveness of certain skills. - This will also unlock new skills that can really help your team! - Gather from Story mode completion rewards and from events. What is the Awakening Feature? 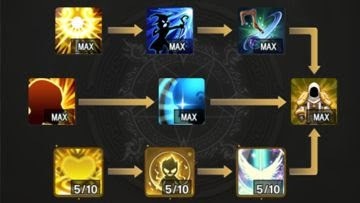 - After maxing to 7 Stars, character shards will be used for the Awakening feature, a new tab called "Awakening" will appear between the "Skill" and "Skill Tree" tabs. Spend your shards here to increase more sub-skills. - Use them too, especially when you just need a few Character Pieces to reach the next upgrade. - Once you reach 5~6 Stars, gather them for now for your other 18 Potential Pets or higher late game core team. You can also just continue and gather more until you can reach 7 Stars to your character, especially for DPS type classes. - Important Note: Infinity Shards can't be taken back from Pets even if you rebirth/reset them, so use them wisely! - Can be obtained from various events in-game: for free, by using gems or charging diamonds. - For F2P players, one way to get a lot of Infinity Shards is to join the Point Rank limited event, try to snipe at least 4th~10th spot just before the timer expires, 1st~3rd too if you can, but might require you to farm and earn at least 20k+ Diamonds depending on your server's past Point Rank ranks. - For long ranged characters, focus first on damage output early game (STAT > ATK/MATK > HP). Only learn the required HP to unlock the next skill tree, add some later on if you like to increase HP. - For Swordsman tanks, go for (STAT > HP), only learn the required ATK to unlock the next skill tree, add some later on if you like to increase damages. - For thief class, learn them all (STAT > ATK > HP). - For STATS, just max them out from left to right. - For ATK, MATK and HP: Upgrade to 5/10 to unlock the next one, then max from right to left if you want to get higher stats return per upgrade. - For Tank type, you may keep all ATK to 5/10 just to unlock the requirements (add later if needed). - For DPS and Healers, you may keep all HP to 5/10 just to unlock the requirements (add later if needed). - Use all Potential Points for your main character first, then to your high grade core Pets next. - Note: If you will use this feature to your Pet, make sure that you use Diamonds when doing Rebirth to get all Potential Points used. - For Orange+ or higher pets, reset (via craft) using 200 Diamonds to get back 100% resources if the pet is no longer needed. - Use the materials to your new pet, to save time, energy and materials. - Core pets that you will use until you get a better one. Promote up to Orange+ or higher like Angeling (healer) and Goblin Leader (tank). - Recommended for F2P players that are earning Diamonds early game for certain events. - Promote core pets up to Orange+ or higher until you get a better unit. - Note: Some players are actually using Fallen Bishop up to Gold+ (because of his life steal aura at 5 Stars+AoE pets combo, nice for survival modes). Margaretha Sorin too as a notable healer and buffer. - Promote core pets up to Red+ or Gold+. Pets that you will use for a longer period of time until you can gather more 18 Potential or higher Pets. - You might also want to check your Main character's Collection section for 15~20 Potential Pets that you should aim around mid to late game. - Leveling up pets will become more expensive as you go higher beyond Lvl 60. So set a stop here if you want until you get more resources for your core pets. Try to farm and get more 15 Potential pets or higher at this point. - Pet EXP points and potions can be farmed from normal battles, RUSH battles, and from certain events like "Trials EXP Cat" and the "Garden" from your Palace. - Max pet lvl is equal to your character's lvl, keep your core team maxed if possible. - 13 and 14 Potential pets up to around Lvl 60, or more until you get better ones. - Core Pets with Higher Potential: Max them out. - You need a number of Dupes or Shards to Enhance, upgrade them whenever possible to increase their Stars, Stats Growth, and Skill effects. Farm from Ruin stages if possible, or get them from stores, events, Pet shard chests, or other sources. - Only if the shards are free like Angeling. - Just farm from Ruin stages if you like them, or from the Trials or Cats if you have them. - Not advisable to buy/exchange their shards from stores unless you think you'll use them for a longer period of time (ex: Fallen Bishop or Margaretha Sorin). - 14 Potential Pet shards can also be obtained as a monthly attendance featured pet. - Note: If you have 40 Shards and ready to summon, sometimes it is best to wait and summon them from free draws first since they are common anyway (check Summon rewards of it's available though), then use your farmed shards to enhance. - Can also be obtained from Pet Shard Boxes, Summons (high chance), and Events. - Most pets that requires 50 shards can be farmed from Ruin stages, or from the Trials (Turtle General) or Cats if you have them. - Buy or exchange from stores (requires 100 shards to summon), this is one of the common methods, especially for F2P players. - Can also be obtained from Pet Shard Boxes (ex: Faction Wars, Guild Wars), Summons (rare chance), and Events (if available). - Some of them can be bought from Stores (also check Eden Group Mission store), recommended for F2P players. Aim for these pets as your core pets, focus on completing Eden Group Mission to gain more points, then start to reset and re-farm once you can reach at least Lvl 15 or higher (your choice, costs 500 Diamonds once per week). - Note: Clearing Eden Lvl 20 will net you 174 points (348 with reset). That's a total of 17 pet shards per week. - x10 Summons (rare chance), check the "rewards" option in-game for available pets, recommended to get Evil Snake Lord. Summoning will also give points, use them to buy pet shards from the Exchange Pet Store. - and from Limited Special Events like Point Rank Event (earn at least 15k~20k diamonds then try to snipe 1st, 2nd, or 3rd depending on the available rewards). - Limited Special Events: Most Potential 20 and 22 pets can only be obtained through here, recommended for VIP players, because these are cash only pets. - Faction War Rewards: If you can donate more than 75,000 points, then you can start farming a Potential 20 Pet here, check rewards list for available pet/s. - Save and only use "Infinity Shards" to your main Character or late game 18+ Potential Pets that are hard to Enhance. Aim for 5 Stars to unlock their passive skills. - If you have the pet, go to Power Up > Enhance > click on the [+] > Farm shards from Ruins (if available). - If you don't have the pet, go to your Pet list > select Pet to farm > Farm shards from Ruins (if available). - Please refer to the Power Up: Skill Tree section above. - Note: If you will use your Potential Points to your Pets, make sure that you will Rebirth (Reset) them using 200 Gems to get all Points back. Use this method only if you no longer need the Pet and have a stronger one. - Works like selling gears but by default, you can only take back 50% of resources you spent on that Pet. Recommended for lightly upgraded Pets that you no longer need early game. - Use Gems to increase to 80% or 100%. Highly recommended for heavily upgraded Pets, especially if you have given them Potential Points. Which Pets Are the Best? - This one really depends on your play style, aim for the game (F2P or VIP), or if you just want to enjoy the game and complete the story line. - Basically, depending on your job class, you'll need at least 1 Tank, 1 Support Healer, and DPS pets. They have their own icons too so you can easily spot and sort them. - Go to your Pet list section to check out their skills, where to get them, and more. - The game made it simple for players too which is great, just take note that the higher their Potential Lvls are, the better (but harder to get and to increase their Stars). For F2P players, work with 12 Potential pets until you can farm higher ones. Aim for 18 Potential Pets at least. Check What Others Are Using! - You can also check your friend's pet formation, including guild mates and arena rankings for common pet formations that you might like. - Check other servers as well, learn from their team compositions, then find a way on how to reach that point from scratch. Is This Game F2P Friendly? - All upgrades above are very doable for F2P players. I can personally say that you can still compete with VIP players (except for whales though of course XD) as long that you know what you are doing (read our guides too!). - I tried to play as a F2P player on a new server and the fastest way to grow is to be very active (getting all freebies, rewards, joining all events like Guild Wars and Faction Wars. Only using Gems if the returns are good). - If you want to be more competitive, you'll need some luck and draw Evil Snake Lord from x10 Summons from start. The best time to do summons is when you have around 15k Diamonds (yup, earn them first), join the Point Rank event then hope for the best ~ good luck! - Note: Strong guilds usually wants active players more than VIP players that aren't so active, because during Guild Wars, it doesn't matter if you have lower CP than most, because you'll still count, and will get rewards, win or lose.